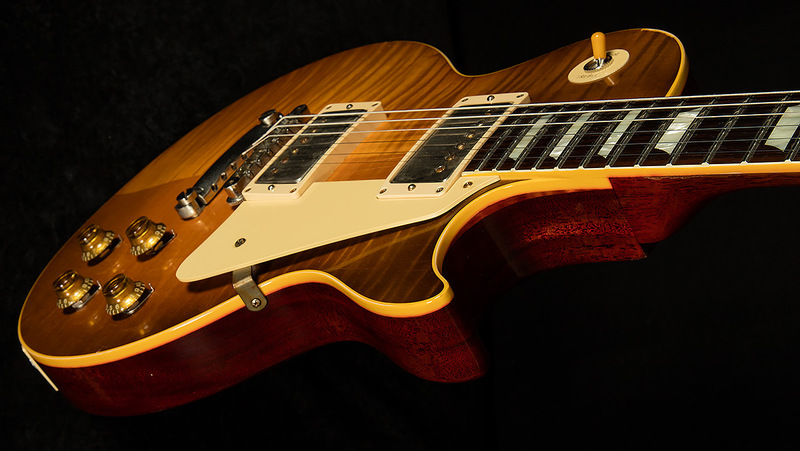 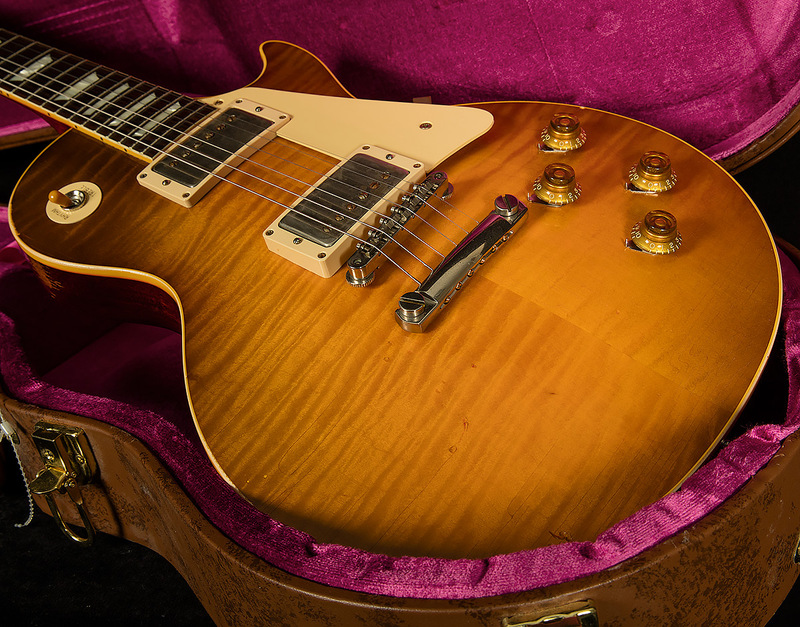 This Collector's Choice is in excellent condition and was originally sold by Wildwood Guitars. 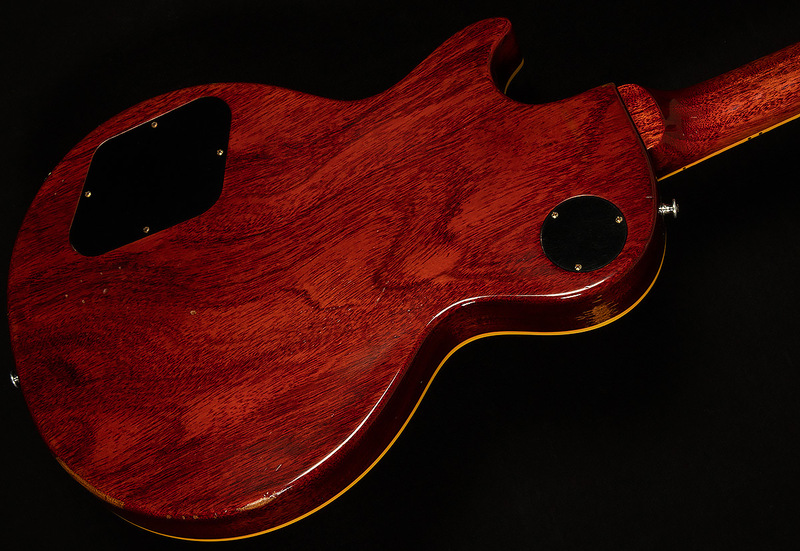 The only thing to mention is there is some very light bleeding into the binding. 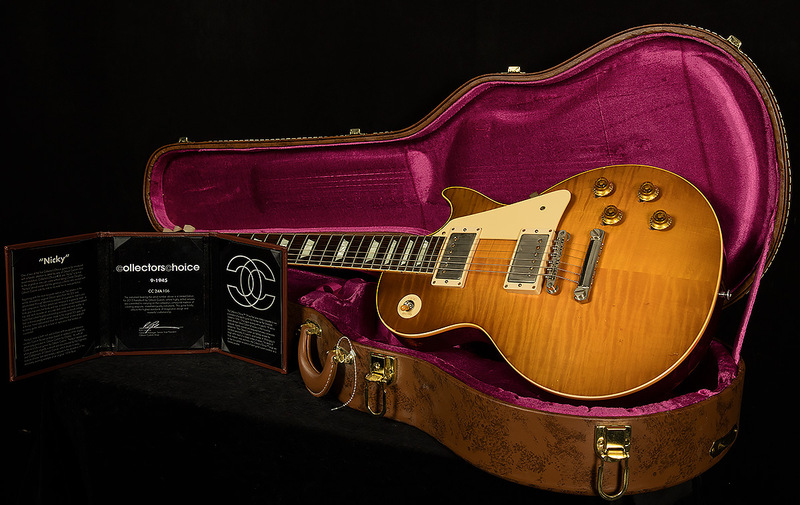 Includes the original hardshell case and COA. 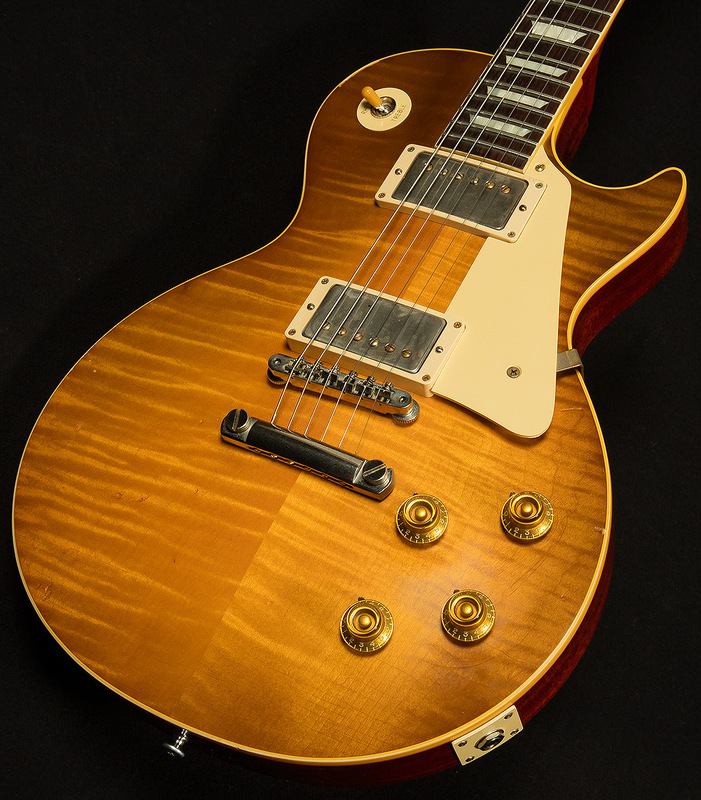 Collector's Choice #24 1959 Les Paul aka "Nicky" follows the Collector's Choice series ethos in bringing to life the favorite original '59 Burst of collector Charles Daughtry, while stepping it all up to an unprecedented new level of fanaticism for 2015 thanks to the new True Historic specifications, representing Gibson's most dedicated efforts yet to perfectly re-create the look, feel and tone of original vintage Les Pauls. 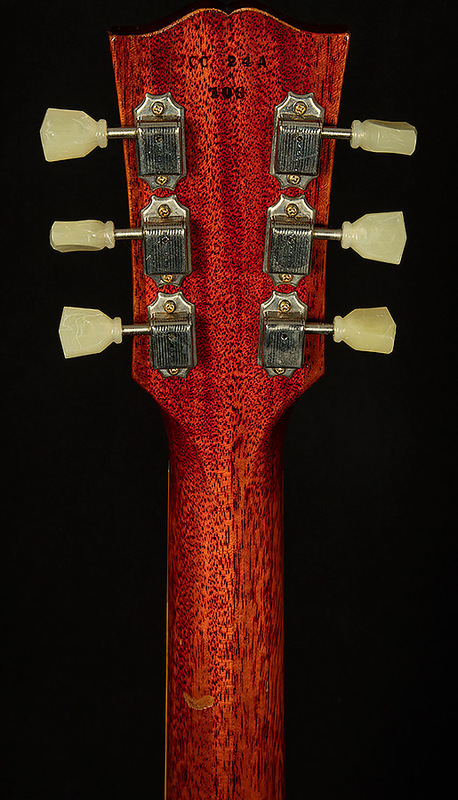 Distinct details such as a hand-matched lightly figured maple top, double-pass dish and neck carve taken from scans of the original, aged period-correct appointments taken from molecular-level analysis of the originals, an Historic truss rod, accurately measured and reproduced PAF humbuckers, and a deliciously faded wet-sanded thin-lacquer Lemon Burst finish on a carefully hand-aged guitar make this an amazing opportunity for player and collector alike. 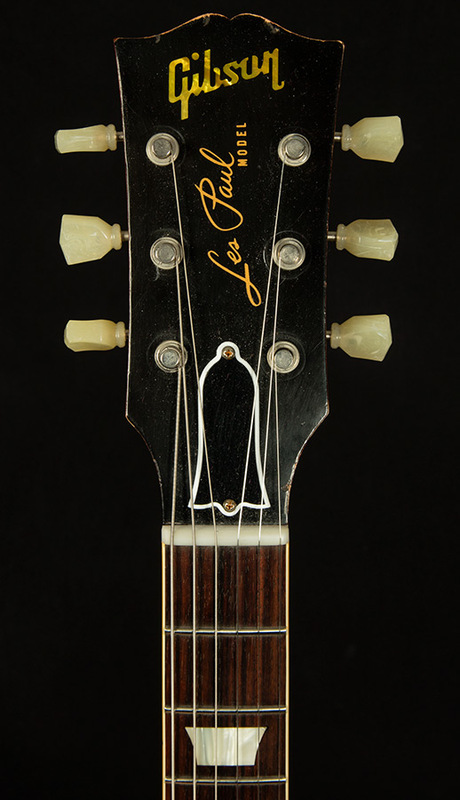 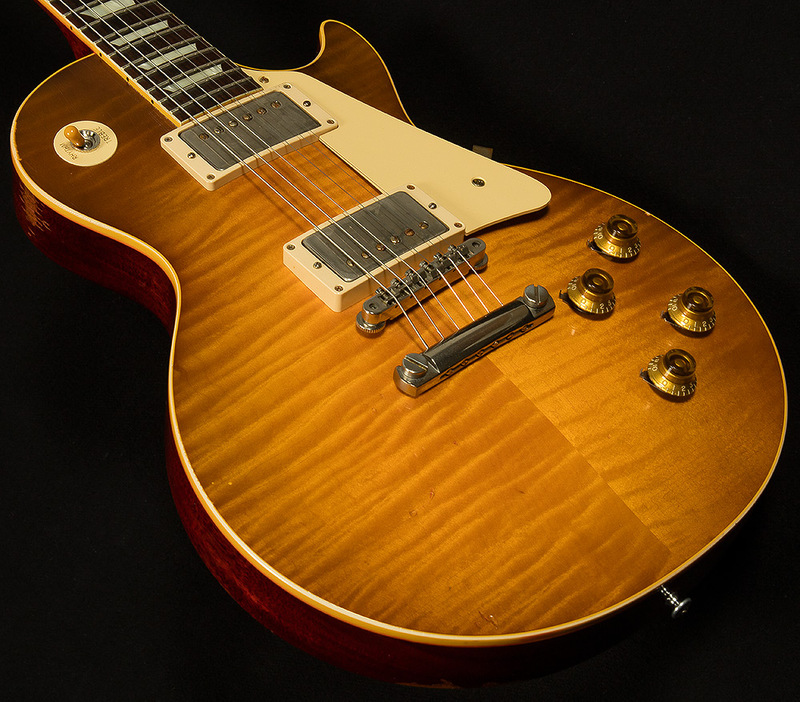 Collector's Choice #24 Charles Daughtry 1959 Les Paul "Nicky"